Have you visited the website “This is why you’re fat“? Well, they sure do have some wonderful ideas on how to turn dreams into heart attacks. Although my heart has already shown some signs of complaint, after seeing some of the wonderful pictures they have on the site I’ve decided to take my shot on the subject. 8. Freshly prepared mayonese (2 egg yolks – one raw and one boiled – Dijon mustard to taste, few drops of lemon, pinch of salt, whisk oil into the mixture a few drops at a time – keep it smooth). Man, let me tell you…that was good, specially considering it was eaten with some cold Mexican beer with a slice of lime. I’ve read dozens of blog posts about barbecue and the art of cooking various types of meat with the heat produced by a wooden fire or with the use of charcoal. 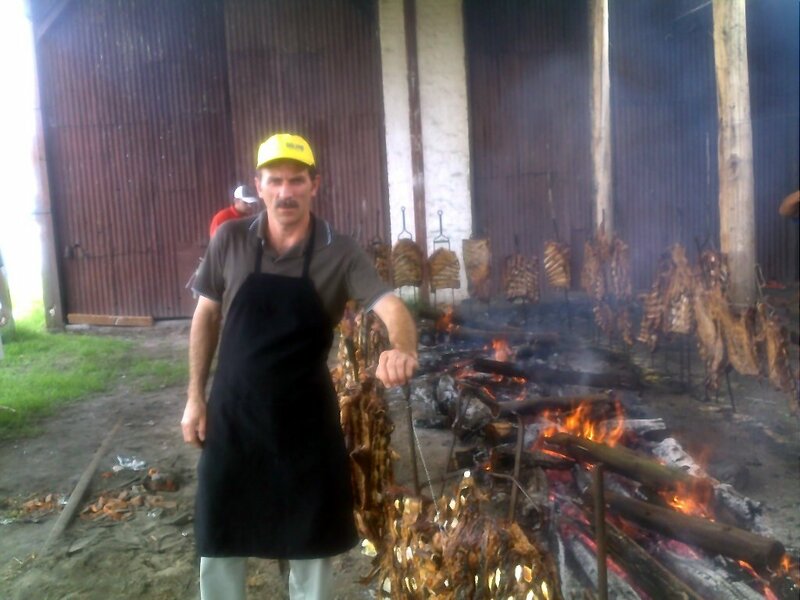 I’ve even written a few lines myself on this subject (see From the heart, “Churrasco” – the Brazilian BBQ and Parrillada in Uruguay). 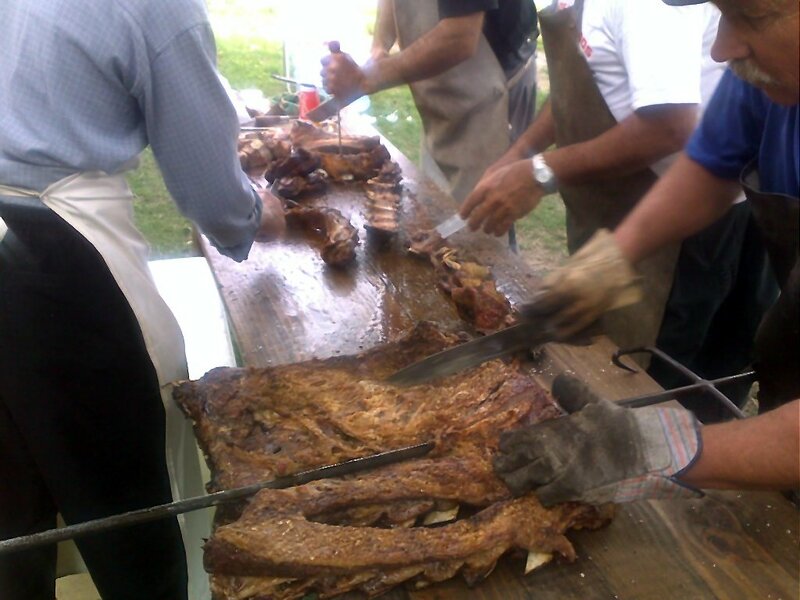 Nevertheless, nothing prepared me for what I saw last Sunday – a gigantic BBQ made with around 1,500 pounds of ribs by my friend Tito. Yes, that’s right, 1,500 pounds of ribs, not to mention the additional 100 pounds of various other cuts and sausages. This BBQ, or “churrasco de chão” in Portuguese, is a typical “gaucho” preparation, and can be found throughout the pampas region, from Southern Brazil to Southern Argentina (where it’s known as “asado”). 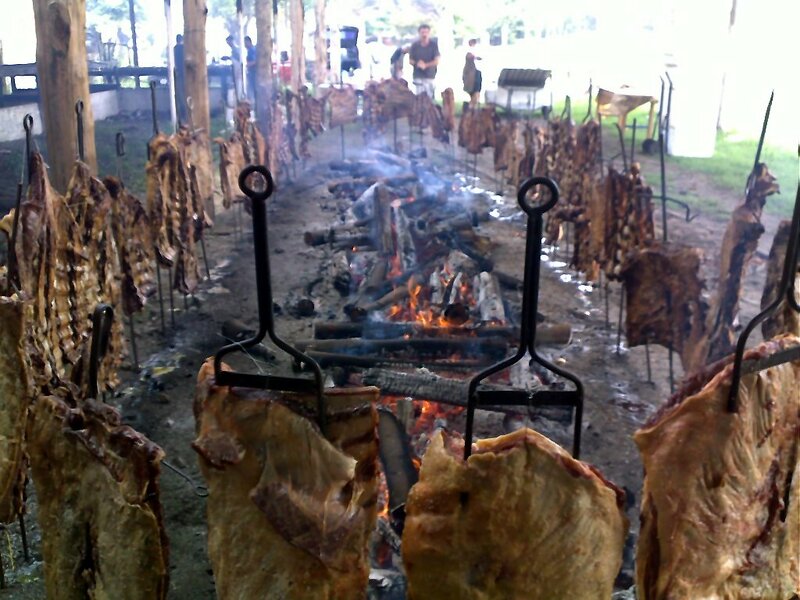 Whole ribs ( or “rib windows” as they are called in this area of Brazil), each one weighting around 20 pounds, are placed in vertical iron spikes which are then stuck into the ground at a certain distance from a huge open air fire. The only seasoning employed was coarse sea salt, and around 25 pounds of it were consumed. The fire was lit around 7:00 a.m. and the meat started to cook around one hour later, when the 5 cubic meters of wood had already produced a nice amount of charcoal. 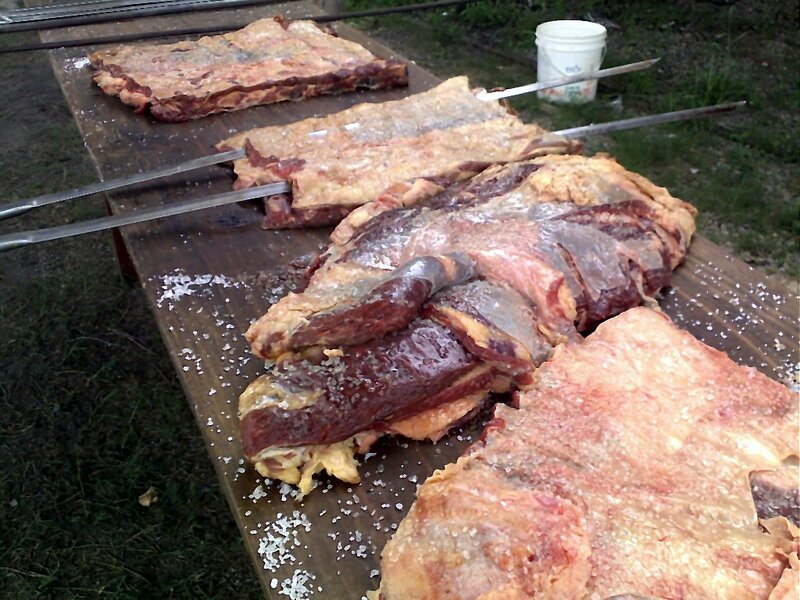 Just before serving, around 4 hours later, the salt was beaten off the meat and the “windows” cut into small pieces by skilful “gauchos”. I should mention that I don’t recommend you to try this at home, unless you can guarantee that: (1) You have a huge enough garden where you can set tables for around 1,000 people, (2) The process is going to be coordinated by a professional who makes a living preparing food for the crowds, like my friend Tito. Watch a video of the event on YouTube. How about a food that is low in sodium, as well as a good source of folate, pantothenic acid, phosphorus and copper, and a very good source of protein, riboflavin, vitamin B12, iron and zinc? Well, nothing is perfect, it has also a high cholesterol content. But, to compensate that, besides being very nutritious it’s also dam tasty. 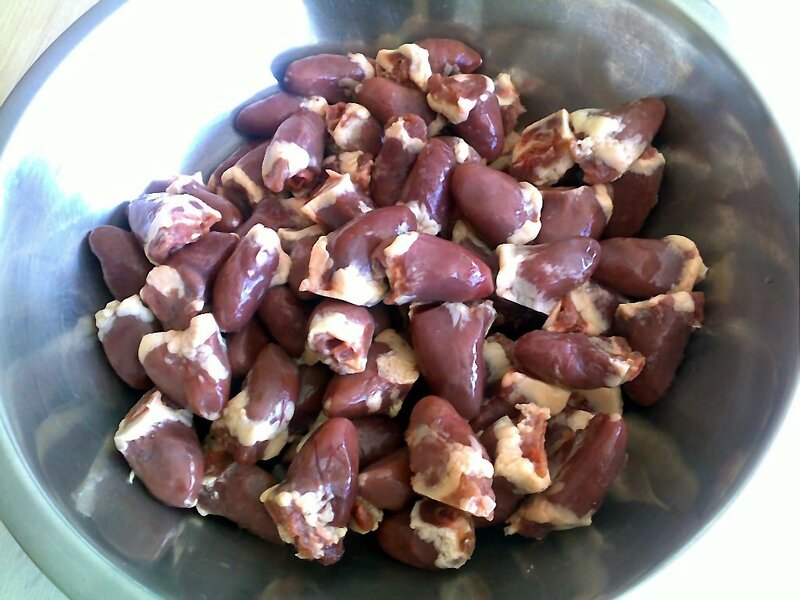 Chicken hearts, that’s what I’m talking about. 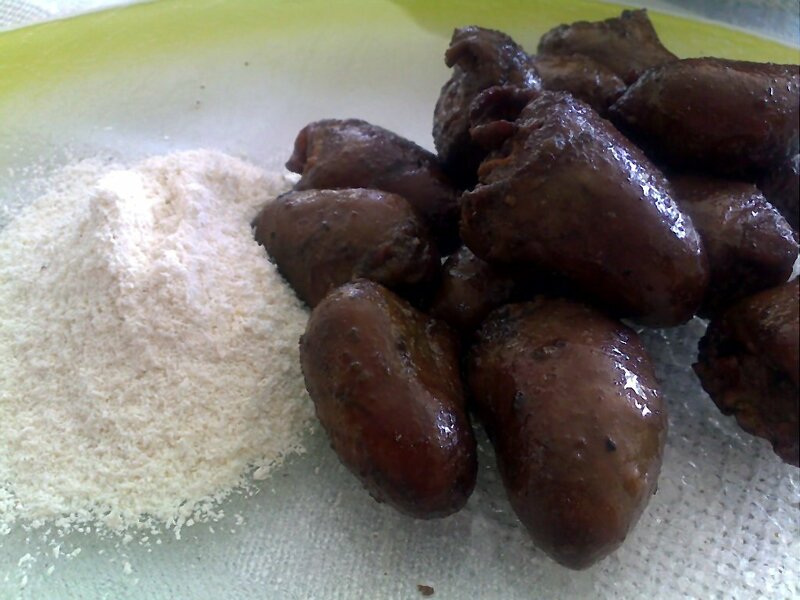 In Brazil, they are a mandatory presence in a BBQ, as appetizers, specially in the southern areas of the country. Last Sunday I took 1,0 kg (around 2,0 pounds) of chicken hearts, trimmed the excess fat (remember, it’s high in cholesterol), seasoned with salt and pepper, and placed them in a special device I received as a gift from my friend Renan. It’s like a cylindric grill that you fill with chicken hearts and place over the fire turning around now and then to get an even cooking. After around 45-60 min they are ready. 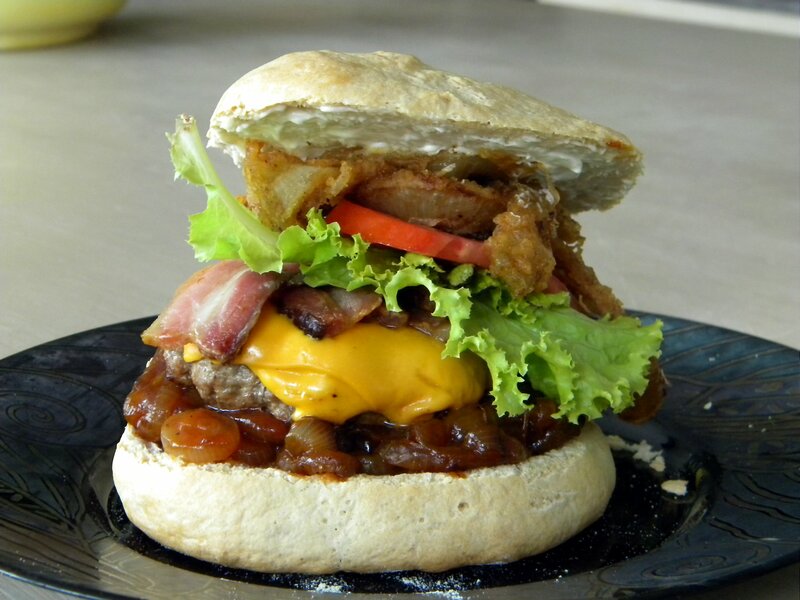 In Brazil we usually serve them with manioc flour and an ice cold beer (even though I prefer a red wine). 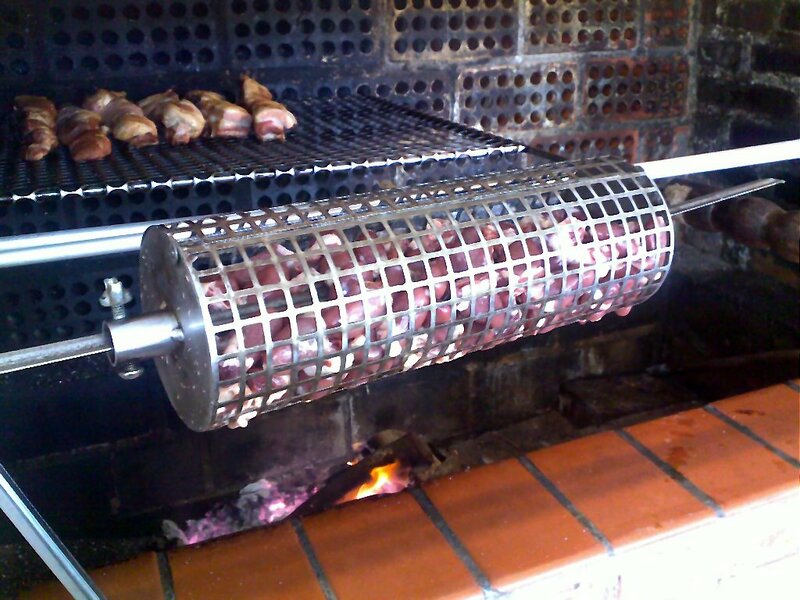 Ok, let’s assume you don’t have such a cylindric grill, nor a Brazilian style BBQ pit, but you still would like to try some chicken hearts (and I recommend you to do that). Then maybe you can take a look at the 1956 grilled chicken heart recipe from the father of American gastronomy, James Beard (yes, some of us have heard of him in Brazil).